fountainhall wrote: there are some basic flaws. Yes, but the point is providing maps so people will know where these places are and be able to easily find them. Since many venue owners don't seem to have sense enough to do that, then flawed or not, if you want any kind of accuracy, then it's going to take board users to do it. Maybe there will be some flaws and inaccuracies, but unless you have a better idea, I can't think of any other way. Since so many gay farang come to Thailand and want to go to the gay venues, it would be nice for them to have a good idea of what exists and where to find them. Gaybutton wrote: Since so many gay farang come to Thailand and want to go to the gay venues, it would be nice for them to have a good idea of what exists and where to find them. I agree 100%. But the problem surely remains - "what exists". Most of us do not know more than a little of what exists and it is unlikely that those contributing to a chat room will know much more. It is only the truly adventurous posters on one or more boards like Christianpfc and Pong who could come up with a comprehensive list of what actually exists. But let's see if posters here will make a start. fountainhall wrote: let's see if posters here will make a start. I hope so. A start is better than what we have now, which isn't much. Ok, gents - the ball is now in your court. Where's the best place for the maps? - I personally think the best place would be one of the forums (this one?). i frequent and it is not really possible to control the content so quality is not assured. suddenly disappear when they have had enough, while forums may simply change owner in such a case. What is the minimum information on the map to be useful? - Maybe link to their website? What about places we don't know? how could anyone list it in a map? adding new locations is quite simple by adding name + gps coordinates in the file. It looks then like this (but is not a .jpg), of course there is a lot of room for improvement of the code and looks (for example there is the problem if there are more locations at the same place so that you still can read everything). Once the code is stable and some initial information entered (block + street information which is relativle stable, and initial locations), the remaining work would be keep track of closings and new openings, to enter / remove name and gps coordinates of those locations and to republish the changed html-file. and corrections - as a collective task this shouldnt be to much work for each of us. - a webspace where the file can be published, maye this forum if it is possible to put some static file? soy twilight + surroundings, boystown, jomtien etc. For locations spread around the whole city this is not a solution, maybe just a simple list for that? Gaybutton wrote: It's also not necessarily the big cities. There are plenty of lesser known, off the beaten path places to go, especially cruise areas in more rural areas. And it's not just go-go bars. It would be nice to know where the gay massages are (especially the "happy ending" massages), the gay saunas - especially if they are farang friendly, the gay beer bars, the gay-friendly restaurants, the gay-friendly hotels, the gay cruise areas such as Saranrom Park, shops that sell gay clothing, swimwear, and underwear, and whatever else would be appropriate. Agreed. I would say information for the smaller towns & cities is even more important. 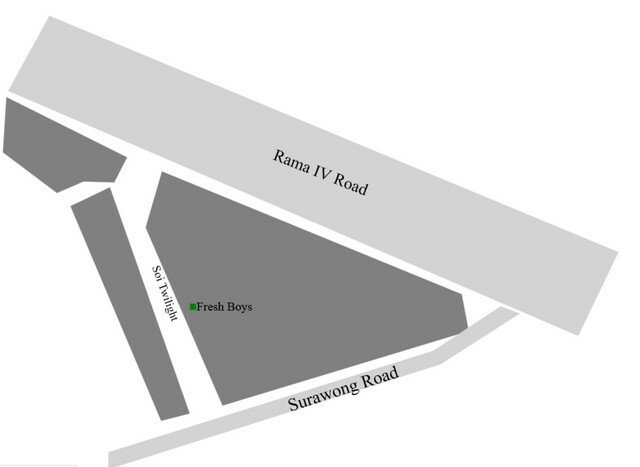 In the days of google maps, any idiot could find the 3 main clusters of bars in Boyztown, Sunee & Jomtien. However, if visiting some smaller regional place which has one or two venues of interest, a map or directions are good. Rather than the address, in the era of smartphones, all we need is the GPS co-ordinates or a google map entry. Jun wrote: in the era of smartphones, all we need is the GPS co-ordinates or a google map entry. That is certainly correct. While additional information and maps are desirable, GPS coordinates are enough to get you there. If you have a smartphone, you also have GPS capability whether you're connected to the internet or not. Downloadable software for GPS is even better and there is plenty of it out there. My preference is Sygic. There is a free version and it's powerful. Try it. This is not something difficult. If you're at a gay or gay friendly venue - bar, restaurant, massage, shop, or whatever - get the name of the place, the GPS coordinates, and post them - preferably with a brief description of the venue and what it offers. If you can take any photos, even better. Enough cooperation with that and we won't even need any maps. Once again, if enough of this starts pouring in, I'll start a new forum on this board to contain the information. You gents can even help me come up with a good name for the forum.